We anchored off of Fort Ticonderoga at about 4:30. It was pretty hot. It’s my first time on the boat and so far it’s been really fun! Emily and I thought that Ticonderoga was the perfect spot to go swimming. We were right. A lot of us spent a good hour jumping off the bow and stern. It was about 20 feet to the bottom and the water was the perfect temperature. While having a race around the boat, I got a great idea. 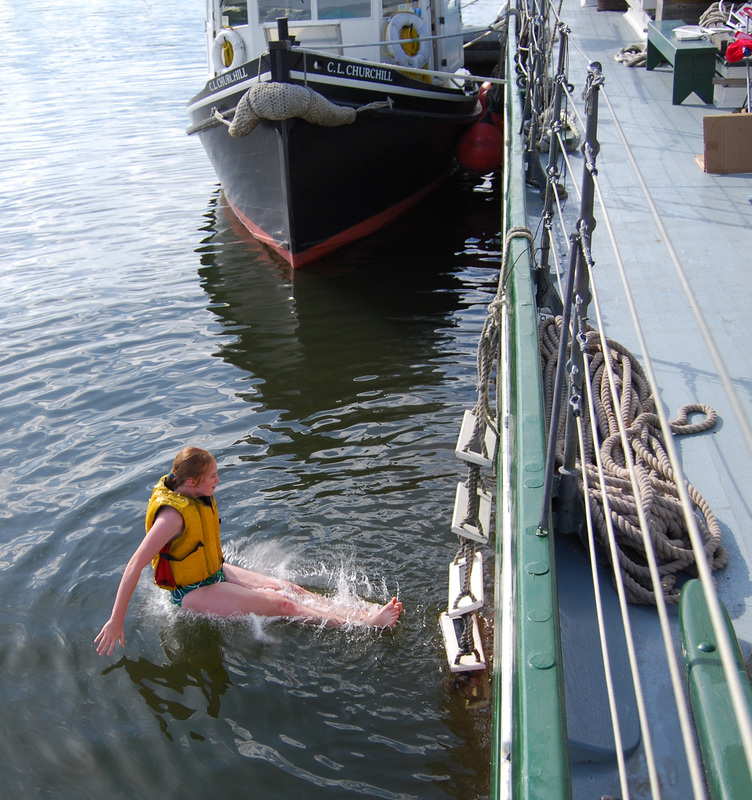 Why not try to climb up the side of the boat using the big rope fenders? So we spent the next hour and a half doing our best to get up to the deck. We tried climbing up the rope, hooking our legs over the fenders, using our life jackets to give ourselves a boost, and even lowering a rope from deck to use as an extra hand hold. Despite never quite getting up to the deck, we had a lot of fun and had a really great evening on the lake. Molly is a 9th grade student at CVU High School. She has been volunteering at LCMM for two years, and this is her first trip on the Lois.